Tools come and go; in fact, many of them don’t seem to have sustaining power. How can we, as DISC facilitators, create the value required to help people modify behaviors? Our clients come to our DISC certifications excited and motivated to learn more. They return to their organizations, with Extended DISC in their toolbox, ready to start. However, we may pause or even freeze because we’re not quite sure where to start. First off, DISC certification isn’t required to deliver DISC. In fact, many of our clients come from using other DISC tools and already have a deep understanding of DISC, but sharing our knowledge and understanding of how to deliver the Extended DISC tools are clear benefits. We strongly suggest you get started right away, while the content is fresh. If possible, do your first session with your own team or a familiar group so you can get comfortable and are able to have that first success under your belt. Now you can better gauge what you know and what adjustments you need to make. You’ll be amazed at how much you do know. Keep it simple. We have designed the 4 Step Process to make delivering DISC simple and consistent. Step 1 explains what DISC is and how the DISC styles are similar and different. Step 2 is using our DISC profiles to better understand ourselves. Next, Step 3 is to identify the DISC style of others, and Step 4 is to modify our behaviors. The 4 Step Process is simple, yet powerful. In fact, it goes beyond basic communication. You can apply it to just about any training application, including leadership, teamwork, sales, decision-making, etc. You may have had one area of focus that motivated you to start using DISC. Did you initially plan to bring DISC in to help your salespeople sell better or to build a foundation in your new employee orientation? Once you’ve gotten started and created your best practice, then it’s time to expand. You don’t want to limit it to one application when you have the opportunity to truly build it into your organization. Remember to keep the big picture in mind, which is to help people modify their behaviors to improve communication, interactions, and relationships. The key to sustaining the value of DISC in your organization is to continue to expand. In widening the breath of DISC, you are also building in reinforcement. 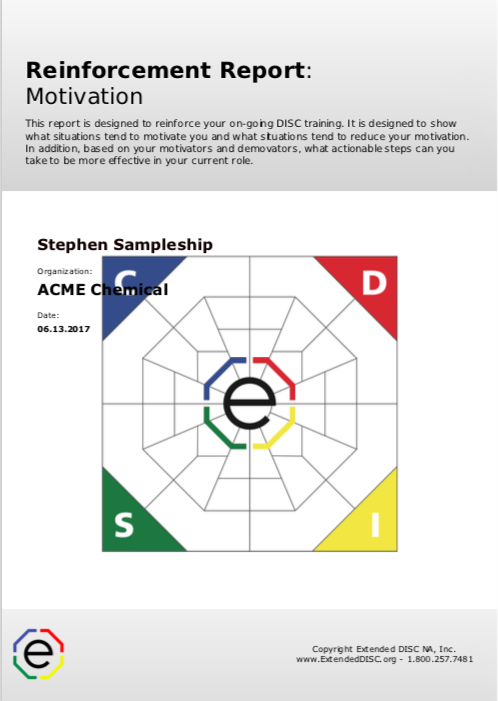 The 4 Step Process helps you deliver DISC consistently because it has been built into our training resources, our DISC reports, and our support material. You don’t have to reinvent the wheel because you can apply it to almost every application and you have built-in reinforcement. Likewise, your clients and employees come to your trainings and likely find it motivating and informative, but then they have to go back to their “real world”. They may be flooded with customer requests, emails, and often times, the DISC assessment gets filed away. We need consistent reinforcement to prevent that from happening. We have highly useful support materials, but we also have our Reinforcement Reports and training videos. Remember, you don’t have to ask your employees/clients to take more questionnaires. If you use the brief Reinforcement Reports, such as Behavioral Action Plan or Motivation Report you will be reinforcing DISC learning. We know most of us will always want to learn more about ourselves and how to develop further. You don’t need to work harder than you already do. You can continue using your existing training programs, and incorporate the DISC assessment into them. The DISC assessments can also be further tailored to your employees/clients specific needs. 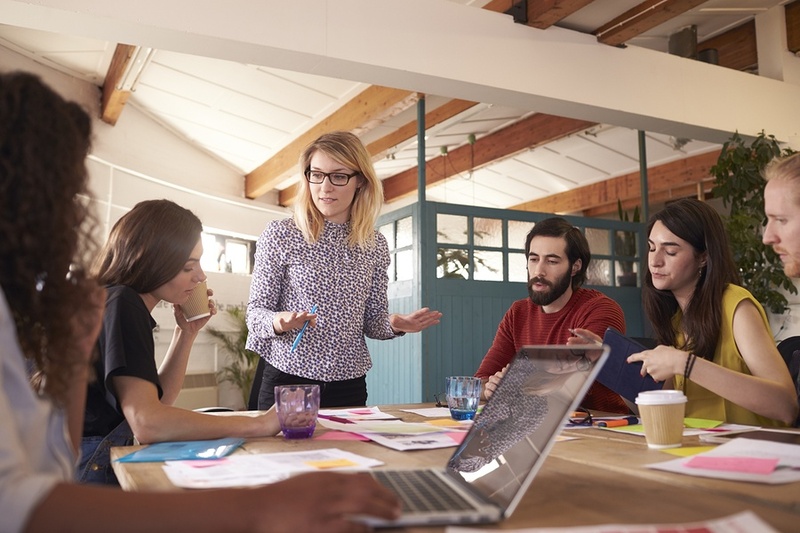 Are you starting with your leadership team? You can provide them with the Leadership Assessment. You have access to our support staff. In fact, we encourage you to reach out to us when you’re ready to deliver your first DISC coaching session. We also have our VIP Client Resource Site. It is designed for our active Extended DISC assessment users and provides all the content you need to deliver DISC effectively. We want to make sure you deliver the best possible DISC session you can. Remember, DISC is not just a communication tool. You can expand and apply it to different applications including customer service, families, sports teams, becoming a better negotiator, etc. You can look for opportunities and challenges to see where you can apply it. For example, you can focus on poor sales performance or lack of organizational intelligence for your leadership. Sometimes we are so excited to start using DISC in our organization that we end up focusing too much on the tool itself. Instead, we should begin by identifying the challenges we face, and more often than not, those challenges boil down to people issues. Try thinking of the Extended DISC tool as a road map that gives you relevant information to work toward solutions. If you have the opportunity, try starting with your managers. When you are able to get their buy-in then you’ve virtually guaranteed DISC will become part of your company’s culture. When managers value DISC, so will their employees. 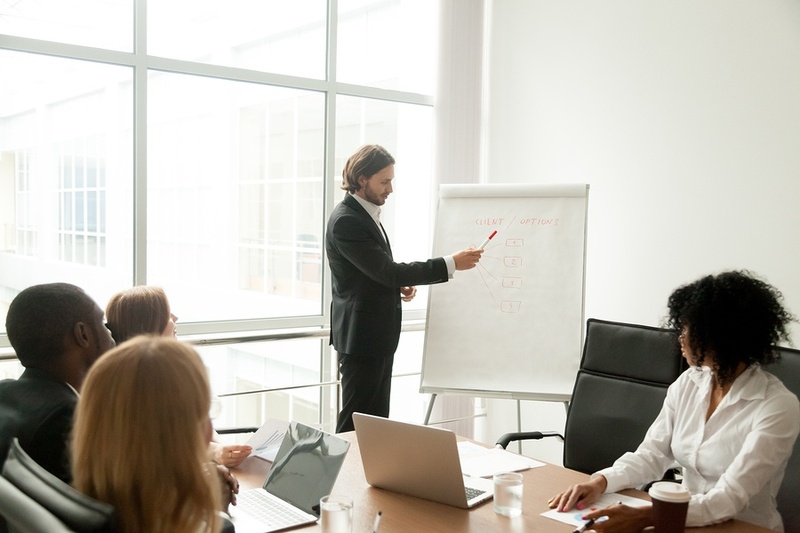 One simple question your managers should practice asking often is, “What DISC-style is my customer or colleague?” The manager is reinforcing that DISC has value and it is important to the team and organization. The manager can ask it one-on-on or in meetings.This simple step can ensure the long-term value of DISC. Here are some final thoughts to keep in mind when you’re ready to launch DISC in your organization. First, you need to keep it simple; start and succeed with one application and work forward from there. Next, you should always use the 4 Step Approach to create consistency. It will automatically create the reinforcement your employees need. You need to expand it beyond one application for long-lasting value in your organization; consider how you can use it in different situations. Lastly, use our Extended DISC support services. Our primary goal is making sure you are able to deliver DISC successfully.